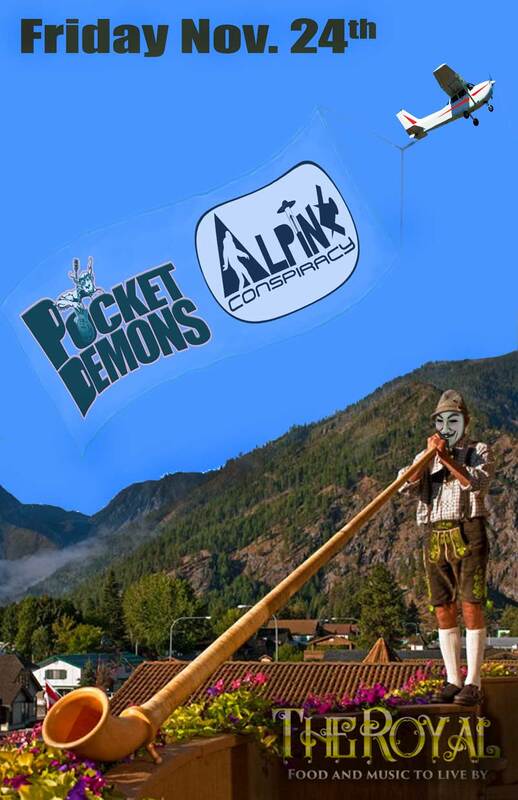 Alpine Conspiracy and the Pocket Demons are doing a live show together on this big night out on the town. Real musicians, real instruments in real time, for a very good time. Come early, have a few drinks and the bands will sound even better!